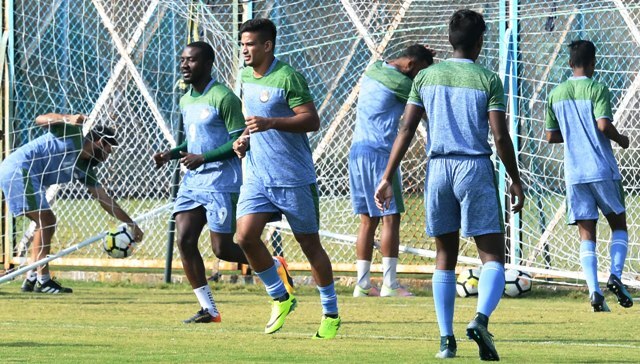 Mohun Bagan host Indian Arrows in what will be a historic first ever Hero I-League match at their own home ground on Friday (December 29, 2017). Meanwhile, this is going to be the youngsters’ first visit to the city which is termed as the Mecca of Indian Football after their FIFA U-17 World Cup campaign. The Green and Maroons will be looking to shrug off their mid-table blues and will be relying on the support of their faithful present at the club grounds, attendance expected to breach the 15,000 mark. Though the Kolkata giants have remained unbeaten this season so far, three draws with only two victories have seen them slip to the fifth spot on the 2017/18 Hero I-League table. The latest results at home, a 1-1 draw with Shillong Lajong and a goalless stalemate against newly promoted NEROCA FC have made the fans restless coupled with arch-rivals Kingfisher East Bengal now perched on top of the standings. “We play to win matches but is impossible to win all the games. Obviously will be eyeing full three points from tomorrow’s game. In the last match we created more chances but unfortunately could not convert. We have already lost too many points. Three draws are equivalent to defeats. We have dropped six points already. We cannot afford to lose any more points”, said head coach Sanjoy Sen on the eve of the game. He hoped that the fans will go back smiling after watching their football stars play in the Hero I-League at home for the first time. 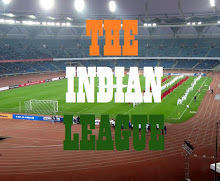 “We are playing a Hero I-League match for the very first time at our own ground. The perfect way to commemorate this occasion is by winning the match.” While Sony Norde and Arijit Bagui are ruled out, Eze Kingsley makes his comeback after a one-game suspension. Azharuddin Mallick could get his first start of the season in the left wing position. On the flip side, Indian Arrows arrive after thrashing Shillong Lajong 3-0 on Boxing Day and the confidence was sky high. “I am very much excited to come here to the ‘City of Joy’ for the first time and I have been told the passion here for the game is at a different level. With Kingfisher East Bengal, Mohun Bagan are the frontrunners to win or at least finish in a top-four place in this competition. They are experienced side and there is a lot of public support with the team that is important”, Matos pointed out. “When the Hero I-League started, the clubs looked at us as outsiders but now they are taking it seriously. We are motivated to play against Mohun Bagan. All my players talk about Kolkata and they will try to win the game. It is a historic team in India and we await a lot of difficulties put in front of us tomorrow,” gaffer Matos added. On playing in front of a large crowd all rooting against them, the former SL Benfica ‘B’ man did not read too negatively into that. “In the World Cup, the boys played in front of 50000 people but that was for us. Tomorrow will be completely different. They will have to cope otherwise how will they learn? I hope that motivates them more to do well. Earlier this year we played in Saudi Arabia where 10-15000 people were against us and we started the game well. These are the kinds of situations they need to tackle if they have to play top football in Asia and this is a lesson for the boys. I am very excited to play in front of 20000 people”, he said. “It is not impossible to fight for final four and we would not like to finish last as we have to fight for pride but what our target is the experience after the I-League gets over – that is the most important bit to me. Six goals in five games mean we have done well and it is a team of all Indians that too 16 to 18 year-olds”, he commented on his side’s ultimate aspirations.